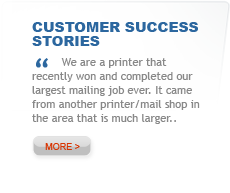 AccuMail has always offered you unrivalled accuracy and processing speeds, with our AccuMail Gold product widely regarded as the best in its class. Now, with a completely redesigned, multifunctional interface, AccuMail frameworks provides you with even greater flexibility and ease of use, whatever your specific business requirements. AccuMail is CASS Certified™ by the United States Postal Service®, providing USPS Form 3553 facsimiles, standard coding summaries and custom reports. Addresses are standardized, and ZIP + 4® Codes are assigned. AccuMail identifies and analyzes non-matching addresses so undeliverable addresses can be corrected. Addresses are validated against the USPS database for accuracy. Integrated DPV® ensures that each address is a deliverable location; LACSLink® converts rural style addresses to locatable, city-style addresses, increasing accuracy and delivery times. 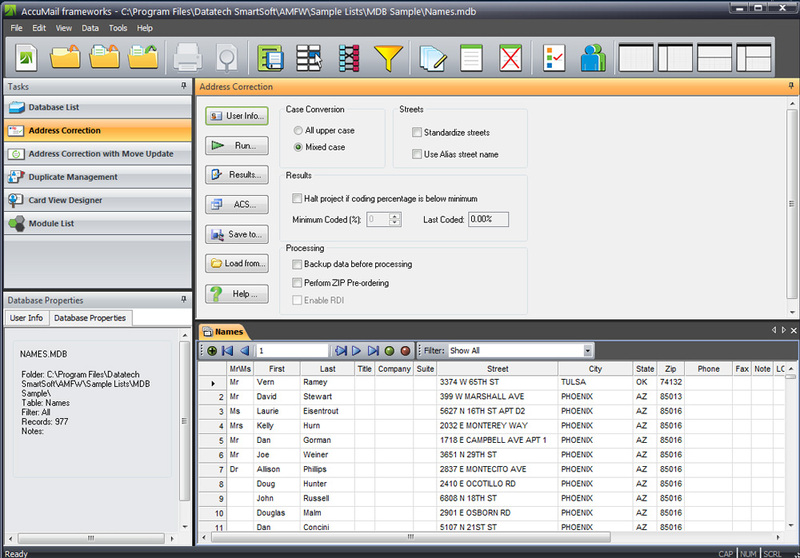 SuiteLink™ appends suite numbers for business addresses. Advanced duplicate detection technology targets costly excesses in your database, cutting waste and saving money. AccuMail adds Carrier Route info, LOT Codes, County Names and Codes, Congressional Districts and more. AccuMail toolkits easily connect into your other address-dependent applications. Its architecture is easily scalable to your organizational requirements. AccuMail can work with many different file formats, including comma delimited, fixed width, Access, dBase and FoxPro file formats. Features such as Card View allow you to edit your customer information one entry at a time from within the frameworks environment. Filters let you search on and focus on specific groups of customers that match your chosen parameters. AccuMail Move - Optional NCOALink® processing providing real-time processing to satisfy Move Update requirements. AccuMail GeoCode - Assigns additional geographic information (eg lat/long coordinates) to your data. RDI™ (Residential Delivery Indicator) - Distinguishes between residential and business addresses.